UK Automotive Suppliers buck the European trend for new robot installations, but we can still do better! July 6, 2015 / Richard Stamps / Comments Off on UK Automotive Suppliers buck the European trend for new robot installations, but we can still do better! For simpler moulding jobs, the ethos of “gravity is free, why should I buy a robot” still holds true. If, however, any of the following points apply, you should consider de-moulding with a robot. Parts are large or difficult to convey on a ‘swan-neck’, so you have to find an operator to either pick them up out of the well, or run the machine in semi-auto. Operators, as we all know, come as standard with an addiction to tea, and bad backs. If your robot controls an indexing conveyor, you only have to empty the belt occasionally. Can a job benefit from cooling on a belt rather than in the mould? A robot won’t complain about singed fingers and parts won’t get dented if you don’t drop them from a height. Does a job run for more than an hour or so at a time using an Operator? Quick change devices and cheap robot gripper kits (you can source these through the companies in our E.O.A.T. section) make regularly changing a gripper economical. Are there any secondary operations that can be completed more accurately by a robot and without extending the cycle time? Is part quality being compromised because of variations in cycle time caused by semi-auto operation? Is a job price critical? If you run a shift system and a job needs an operator at present, pay back on a robot is typically a few months, particularly when you factor in cycle time improvements and stability of process. So how are we doing at the moment? Although levels of new robot installations across Europe still lag behind Asia and the Americas (Mexico has typical annual growth of 30% and China 38%), the UK Automotive Sector is faring well amongst its European counterparts. Total robot sales across Europe are back to 2011 figures, but in most countries, growth has been driven by car manufacturers, the general metal products industry and pharmaceuticals, there actually being negative growth amongst automotive suppliers. In the UK however, car manufacturers have reduced investment slightly and automotive suppliers have ‘picked up the baton’. 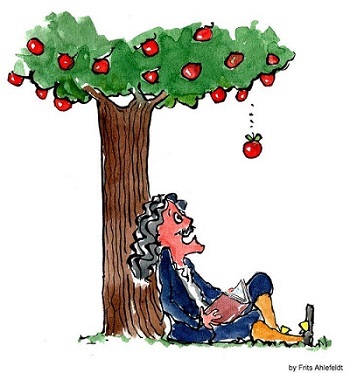 Thank you to Frits Ahlefeldt-Laurvig for the image of Newton. Was Billy Joel right? Why should you invest in higher quality kit?